Social media is a must for any modern business. It’s the single most popular activity on the internet (yes, even more popular than that), and platforms like Twitter and Facebook can be a significant source of revenue if properly utilised. Far from being an optional novelty, a good social media marketing strategy has become an integral part of doing business in the 21st century; the majority of consumers now take for granted that they will be able to find their favourite brands on the major social networks. Still, if you’re new to social media, building a following and competing with the big names can seem like an impossible task. If you don’t know your likes from your retweets, Designer Websites can help – we have a superb understanding of social media marketing, and we are able to harness a variety of different platforms for the benefit of your business. Our social media services will make a real difference to your business; our marketing team will work closely with you to identify your target audience and plan a comprehensive social media marketing strategy that gets great results for you and your brand. Unlike the agencies who promise ten million followers overnight, we take a natural, personal approach to our social media management, using genuine interaction to steadily build a following of real people with an authentic interest in what you have to offer. Find New CustomersSocial media allows businesses to connect with potential customers who wouldn’t otherwise have found them. Twitter, Facebook, Google+, and the other social networks are packed with users who might be interested in your business (even if they don’t know it yet! ), and we can help you to get your products in front of them.Twitter, Facebook, and the other social networks are packed with users who might be interested in your business. We can help you to get your products in front of them. Improve Customer ServiceSocial media isn’t just about finding new customers; it’s also a useful tool for staying in touch with your existing clientele. Many people use Twitter and Facebook to contact the companies they use; you may well have a phone number and an email address on your website, but are you keeping an eye on your Facebook inbox for incoming enquiries? Good social media management requires keeping on top of what you are receiving as well as what you are sending out. We can help you ensure your customers are being heard.Whether you’re responding to questions or sharing your latest news, social media is a great way to stay in touch with your current clients and keep them coming back to your business. Raise Brand AwarenessThe rise of social networking has given business owners a great way to put their brand in front of potential customers for free. When people share your posts, they are effectively advertising your company for nothing – all you have to do is make sure that your posts are worth sharing, and that’s where our social media marketing team can help!Social media allows you to put your brand in front of potential customers for free – our social media experts will make sure that your posts are worth seeing! Boost Your RankingsSetting up a social account for your business doesn’t just enable people to find you on Facebook; it can also help your brand to appear more prominently in the SERPs. ‘Social signals’ – likes, retweets, and so on – carry a lot of weight with search engines, and if people are talking about you on Twitter, there’s a good chance that Google will take note.Social signals are very important to search engines like Google. If people are getting excited about your brand on Twitter, this can really make a difference to your rankings! Promote Your Special OffersIf you frequently run promotions (such as sales, giveaways, and special offers) on your website as part of your marketing strategy, that’s exactly the sort of thing you should be shouting about on social media. There’s no faster way to spread the word than with a tweet or a Facebook post, and you should find that your promotion reaches far more people this way.Shrewd use of social networking can exponentially increase the reach of your promotions and special offers. Word spreads quickly on social media! Forge Business RelationshipsWhile social media hasn’t totally supplanted traditional networking strategies quite yet, we still believe that it’s the best way to find new contacts in this day and age. Social sites allow you to build lucrative business relationships with people from all over the country and beyond, and you don’t even have to leave your desk! Social media has largely replaced traditional networking as a means of finding new business contacts. We can help you to make lucrative new connections online. 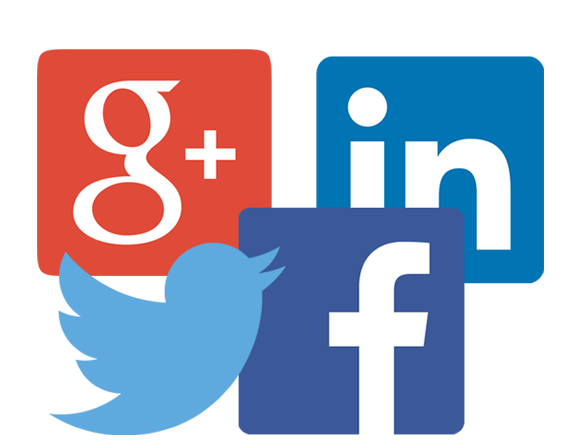 If you’re ready to start using social networking to its full potential, we are eager to help you manage it. Call Designer Websites on 01446 339050 or email info@designer-websites.co.uk to discuss a social media marketing strategy for your business.